File 1-0186 - Residence for Matthew DiIorio, Victoria, B.C. 2 architectural drawings : blueprint ; 52 x 75 cm or smaller. 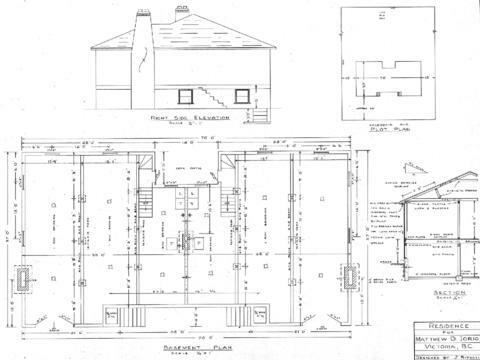 Consists of architectural plans for building at 939-941 Caledonia Avenue.